Happy Women in Translation Month! (#WITMonth). You may have noticed that we are big fans of translation here at And Other Stories and this year is our Year of Publishing Women (#YPW2018), so we’ve never been more excited for Women in Translation month than we are right now. To celebrate some of the wonderful books written and translated by women that we have had the pleasure of publishing, we have created a new book bundle. 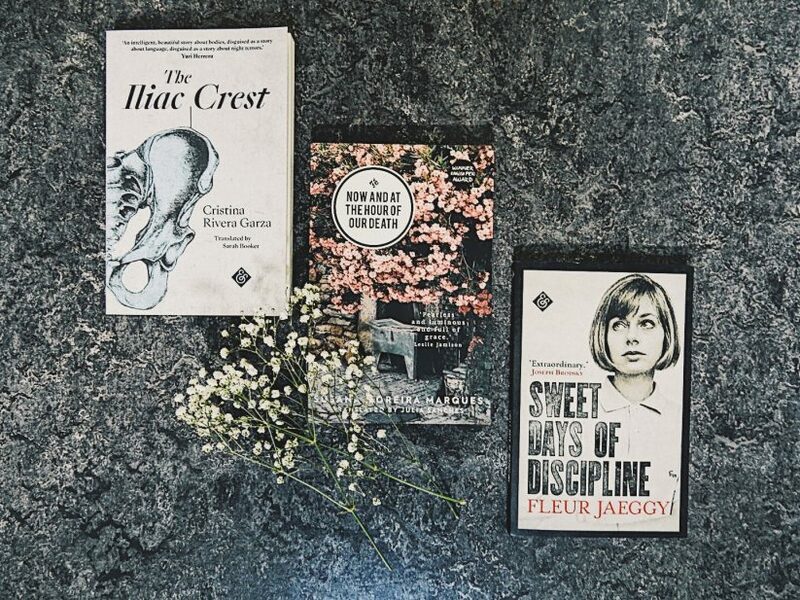 Buy The Iliac Crest by Cristina Rivera Garza (translated by Sarah Booker), Now and at the Hour of Our Death by Susana Moreira Marques (translated by Julia Sanches), and Sweet Days of Discipline by Fleur Jaeggy (translated by Tim Parks) as a discounted bundle for only £17 for all three books (full price £26.97).